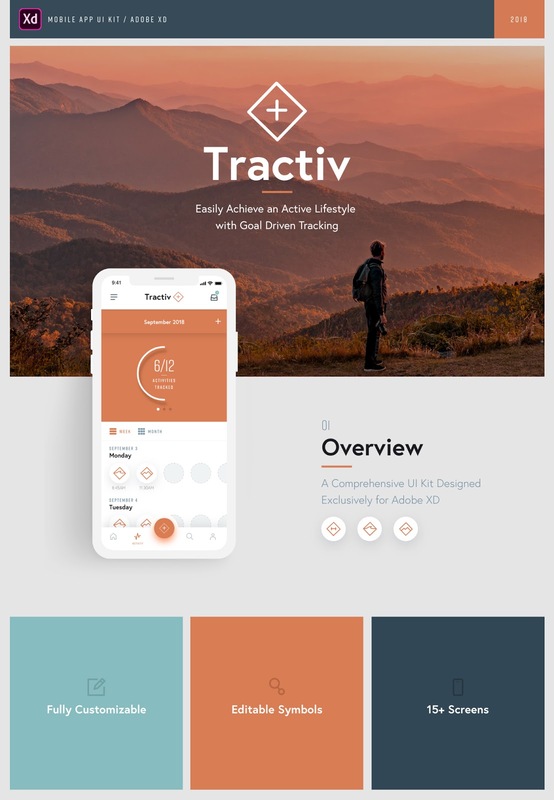 Tractiv is a free mobile UI Kit designed exclusively for Adobe XD . 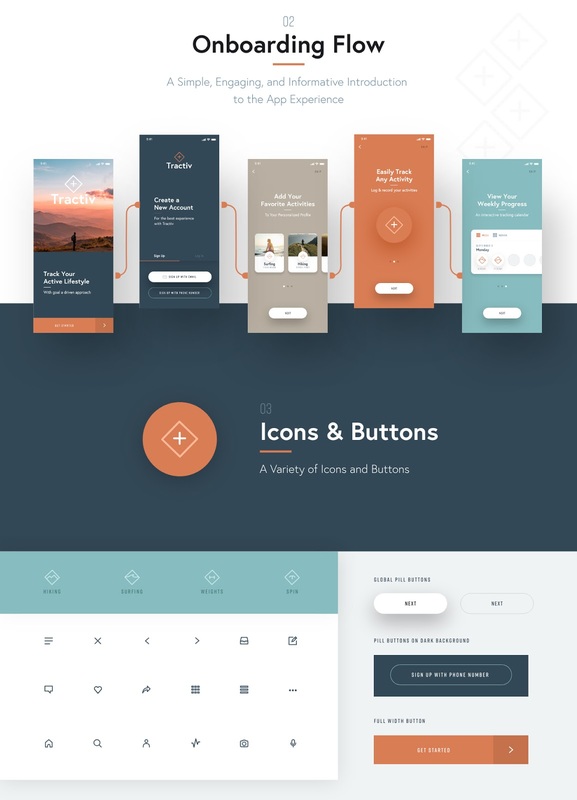 It features 15+ mobile screen pages to get you started on your projects. 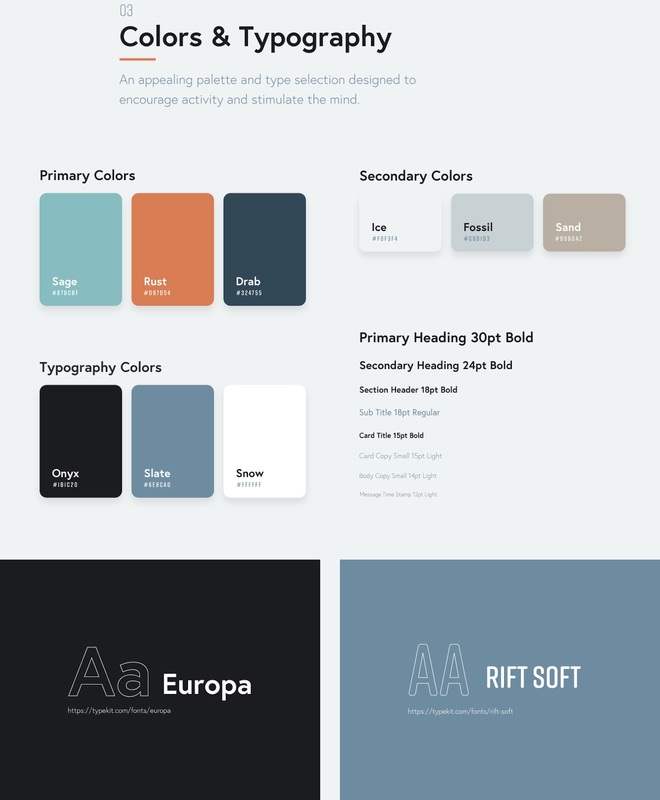 It contains a comprehensive style guide with symbols, colors, fonts, buttons, overlays, repeat grids and many other elements.